Obesity leads to the release of cytokines into the bloodstream which impact the metabolism of breast cancer cells, making them more aggressive as a result. Scientists from Helmholtz Zentrum München, Technische Universität München (TUM), and Heidelberg University Hospital report on this in ‘Cell Metabolism’. The team has already been able to halt this mechanism with an antibody treatment. The current study elucidates an as yet unknown mechanism making breast cancer more aggressive. The enzyme ACC1* plays a central role in this process,” said Dr. Mauricio Berriel Diaz, deputy director of the Institute for Diabetes and Cancer (IDC) at Helmholtz Zentrum München. He led the study together with Stephan Herzig, director of the IDC and professor for Molecular Metabolic Control at TUM and Heidelberg University Hospital. “ACC1 is a key component of fatty acid synthesis,” said Berriel Diaz. “However, its function is impaired by the cytokines leptin and TGF-β.” The levels of these cytokines are increased particularly in the blood of severely overweight subjects. The scientists demonstrated that the described inhibition of ACC1 leads to the accumulation of the fatty acid precursor acetyl-CoA. This precursor is transferred to certain gene “switches” that in turn increase the metastatic capacity of cancer cells by activating a specific gene program. 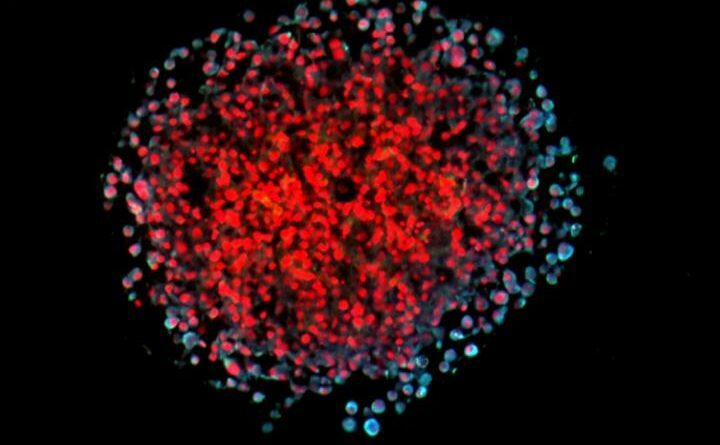 “Using human tissue from breast cancer metastases, we were able to show that ACC1 was significantly less active there,” said Marcos Rios Garcia, first author of the study. When the scientists blocked the as yet unknown signaling pathway with an antibody (directed against the leptin receptor), this led to a significantly reduced metastatic spread of breast cancer tumors in an experimental model.